The summer is without a doubt the busiest time of the year for pest infestations. But just because football season is back doesn't mean the pests have gone away for good. In fact, because of the cooling temperatures, many pests start to seek shelter to protect themselves from the winter ahead. And that means scurrying into your warm and cozy home. With that said, here are three pests to look out for this fall in Idaho Falls. If you travel often and stay in hotels, a bed bug is a pest you need to worry about. That's because you can easily bring one home with you on clothing or in luggage. And it only takes one bed bug to turn into a major infestation. The bad news: Bed bugs will bite and drink a few drops of your blood while you're sleeping. The good news: You won't feel its bite, and you don't have to worry about a bed bug transmitting any type of disease to a human. When a bed bug bites, it might cause swelling and redness. But nearly half of the homeowners who suffer a bed bug bite report not seeing any evidence of it. To relieve itching, you can use antihistamines or corticosteroids. Although the most common spot to find bed bugs is in or around your mattress, you can also find them in sofas, chairs or behind wall paper. When trying to eliminate bed bugs, you need to search through every corner and crevice. Simply throwing an infected mattress away won't help; you need to contact pest control for complete extermination. OK, so everyone knows what cockroaches look like. It's likely you've seen a cockroach at one time or another. Once your home becomes infested with this pest, it can take a prayer and a miracle to get rid of it for good. That's because cockroach populations multiply quickly, and they're also extremely adaptable to any environment. Although there are more than 4,000 species of cockroaches, only 30 of them can live among humans. In Idaho Falls, there are four species that homeowners need to worry about: American, Asian, German and Oriental cockroaches. Cockroaches are nocturnal pests that can live up to a month without food. If needed, they can survive by eating everything from booking bindings and furniture to glue and shoe linings. Each egg case includes 30 to 50 eggs. Whether it's mice, rats or voles, there are plenty of rodents that call Idaho Falls home. Considering that each of these rodents can transmit up to 35 different diseases to humans, it's especially important to look out for them and contact pest control immediately if you suspect an infestation. Otherwise, your family could be in danger. 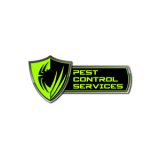 If you're in need of residential or commercial pest control services in Idaho Falls or the surrounding area, contact Pest Control Services, Inc. at (208) 529-2575. Our experienced team is standing by to exterminate your pest problem.